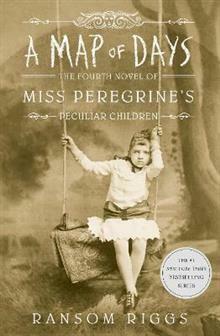 The first three novels in the Miss Peregrine's Peculiar Children series introduced Jacob Portman and the world of the peculiars. This world was threatened by a hostile splinter faction and their monstrous servants, but Jacob and his friends helped to defeat them. That journey end... read full description below. The first three novels in the Miss Peregrine's Peculiar Children series introduced Jacob Portman and the world of the peculiars. This world was threatened by a hostile splinter faction and their monstrous servants, but Jacob and his friends helped to defeat them. That journey ended where it all began for Jacob, back in Florida, reunited with Miss Peregrine, Emma, and the other peculiars. The third book, Library of Souls, concluded with a set of tantalizing promises and questions about the future of the peculiars. Now, in a thrilling new story arc, Jacob's adventure continues as Ransom Riggs reveals even more secrets of the peculiar world, set against the rich landscapes of American history.